Home > Business > Communications > Best VoIP Service: Ooma vs Vonage vs Grasshopper vs RingCentral vs 8×8 vs Nextiva vs Unovon vs BasicTalk etc. With the speed of communication being at an all-time high, it’s more important than ever for consumers to find reliable and effective online voice and messaging services. Companies want integrated cloud systems that are secure and reputable. Individual households want to find cost-effective ways to communicate with friends and family. Depending on what you are looking for, it’s important to know exactly what VoIP technologies are available and which VoIP service company can best meet your needs. An excellent alternative to traditional phone services – particularly when it comes to cost – VoIP services are still subject to Federal Communications Commission (FCC) regulations and associated fees. Most VoIPs charge you a fairly minimal surcharge each month to cover these fees, in addition to your state and local taxes. Still, the savings that consumers and businesses can enjoy run into the thousands of dollars every year. VoIP stands for Voice over Internet Protocol (also referred to as Voice Over IP, IP Telephony or Internet Telephony). At its most basic, VoIP is an internet phone service. Instead of having your phone calls delivered through your local phone company they are instead delivered through your internet connection, so having a high-speed internet connection is a must. What Are The Features Of VoIP? Not all services offer all types of technology. VoIP business services also offer hosted or cloud-based service and SIP trunking (see our Terminologies section for a better understanding). Each has its benefits and drawbacks — the choice really comes down to how you want to use VoIP, your budget and which VoIP service you choose based on those needs. What’s The Best VOIP Service? Now that you have the VoIP basics, we’ve reviewed a number of VoIP service providers to help you choose the best service for your needs. We’ve broken down our best picks into two categories: Best VoIP for Businesses and Best Residential VoIP Service. Below you’ll find our top three picks in each category. These rankings are based on a variety of factors ranging from pricing, features offered, contract terms, service reliability, free trial, customer service and more. Businesses have different needs than individual households, often having dozens of telephone users per location. This can require lots of bandwidth. Businesses also oftentimes require more secure connections. Below are our top VoIP choices for businesses. Bigger is not always better, but in Nextiva’s case, they have perfected the fine line between being a large company and still providing great customer service. Nextiva is designed with big businesses in mind, and the price reflects that. Nextiva provides the widest range of features and is deserving of our first place choice for Best VoIP for small business. Below are the starting prices for Nextiva’s cloud-based business VoIP. All plans include the following: unlimited calling and faxing, unlimited long distance, 100% US-based customer support, call forwarding, call waiting, caller ID, HD voice, no set up or activation fees, push to talk, group paging, voicemail to email, presence on multiple devices, shared line appearance, unlimited hunt groups, call parking and more. 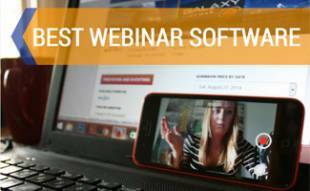 Find out more about Nextiva in this video. Our second place winner for Best VoIP Phone Services for businesses is eVoice. eVoice offers an attractive 30-day free trial and has a low monthly fee. We feel that eVoice is a great fit for small companies that don’t do a lot of over the phone business. These smaller companies can rest assured that they are still getting a quality VoIP service, but without the high costs. All eVoice plans offer a 30-day free trial. Small Business Plans include inbound faxing and access to VIP Support. Rounding out our top three Best VoIP Services for businesses is Phonebooth. Their straight-forward pricing option makes understanding costs easy for small and large companies alike. Phonebooth is strictly for business use and whether you have 2 employees or 2,000, the price is a flat $20 per person for a phone-only VoIP service. There are few customizable options, which keeps it from being higher on our list, but Phone Booth has solid customer service reviews and the sync-features will keep customers happy and connected. Households often don’t require the same features as businesses. They also usually operate on a smaller budget. Our top VoIP choices for residences are below. Our 1st place winner for Best VoIP Service for Home is PhonePower. This company specializes in residential and small business solutions. They offer the biggest savings if you commit to an upfront annual contract. PhonePower is very cost-effective, as long as you have no more than two phones. Coming in 2nd in our Best VoIP Provider for residential users is VOIPo. VOIPo is a great value option, and if you pay your annual contract upfront, it is the cheapest VoIP service provider available for residential users. VOIPo is privately owned and entirely US-based. Even though VOIPo doesn’t have all the bells and whistles of other providers, this service is still a great way to get introduced to a VoIP service. Rounding out our top three Best Residential VoIP Service is Grasshopper — a 100% virtual service, meaning there are no adapters or IP phones to purchase. Their service is streamlined to work well through their mobile app, so you can use your VoIP on the go. You have access to most of the features you need for personal use or a home-based small business, but their options for medium to large businesses are limited, depending on your business needs. Grasshopper is a solid contender for small businesses, with reliable service, reasonable pricing and great features. All plans include unlimited extensions, free activation, name directory, unlimited call handling, call forwarding, call screening, virtual fax, voicemail and more. Due to the size of our best VoIP providers comparison table, we’ve placed it on a separate page so you can reference it more easily. Take a look at our Best VoIP Service Comparison Table (or click on the image on the left) for details of the companies and services we review in this article. 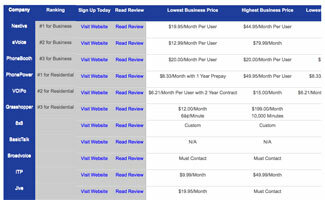 We will continue to add to this table and article to provide more companies for comparison. As you can see on our comparison table, the number of features and types of technologies that VoIP services provide vary widely — and so do the pricing structures, contract obligations, customer service reliability, and other items you should take into account when you choose a service. Below, we give you the pros and cons for other services we reviewed to help make your choice a bit easier. A cloud-based VoIP phone system, 8×8 targets small businesses to major enterprises, although it also works very well for a home-based business. 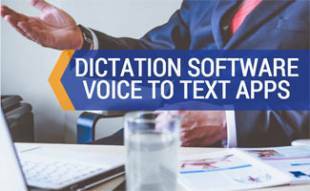 They offer a ton of advanced features, including extension calling, auto attendant, instant messaging, web/video conferencing, cloud-based call center software, and reporting and analytics. What puts 8×8 ahead of many other VoIP services for businesses? 8 x 8 offers a number of “Fortune 500” features that propel your business’s communications to a high-tech, professional level. As its name implies, BasicTalk is a simple and easy-to-use VoIP service for homes. BasicTalk has one pricing plan at $9.99 per month, which includes caller ID, voicemail and call waiting. You can purchase your Basic Talk adapter box online or at participating retailers like Walmart or Amazon. There are no bells and whistles to Basic Talk, and they promote their service for what it is – nothing more, nothing less. If all you’re looking for is an inexpensive alternative to your home phone service, definitely check out BasicTalk. With monthly plan, you get free calling to anywhere in the U.S.
Broadvoice is a solid VoIP service that’s gaining more attention for its unique features and variety of calling plans. Targeted for residential and home business users, Broadvoice offers some of the best service options out there with its portable ATA adapter. Look into Broad Voice for your home or home business service — although they don’t offer a free trial; they have a 30-day money back guarantee. ITP is a simple-to-use, reliable service geared toward residential and home business users. One of the things we like most about ITP is their à la carte approach to pricing, something we think is ideal for a home business. Their basic plan starts at a very affordable $9.99 per month, which gives you most of the features you want for a residence. If you want more, internet fax, for example, you pay an extra $9.99 per month. Adding a toll-free number is only $4.99 per month. Good mobile apps and a second line option make ITP a great choice. If we had a category for best home business VoIP service, ITP would be our top choice. Jive offers comprehensive VoIP services to businesses large and small at a flat monthly rate. All of their features and services (80+) are included in the bundle at no extra charge. Jive is a hosted service, which means they don’t require an on-site appliance such as a dedicated server. Jive instead relies on a cloud service. You plug a phone in to the internet, access Jive’s web portal and then your VoIP service is connected. Jive offers very little in the way of domestic service. If you’re just looking to set up a domestic phone service at home, Jive probably isn’t for you. Daunting signup procedures for someone with little knowledge of VoIP services and how they operate, especially for their call recording service. Lingo is a VoIP service that caters to home and mobile users, with all the basic features. While their start-up costs are minimal with a free adapter and free activation, Lingo charges added fees for a few features that many other companies include in their monthly pricing. Lingo’s pricing starts at $9.95 per month for 500 minutes. But, if all you’re looking for is the basics, Lingo could be all you need. Most of the features you want are included in their basic plan. For business use, their pricing structure can be difficult to understand. Still, ooma gets good reviews for its reliability and clarity. Ooma’s pricing is kind of confusing to us. So we suggest looking through their website and contacting ooma directly. RingCentral is a solid option for small to medium-sized businesses looking for an uncomplicated VoIP. It has most of the features that a business needs. With its cloud-based system, you can connect all your employees with voice, fax, text, as well as audio and HD video conferencing. Ring Central is designed for easy mobile access, so if your employees are constantly on the go, this might be the best choice for your business. Unovon is a simple, fairly basic VoIP service that caters to residential and small business users. Their service requires their ATA adapter, which is free for residential plans (a $49.99 price tag). But they also have a mobile app for when you’re on the go. Although not a well-known VoIP service, Unovon offers a lot of basic features for a low monthly cost. ViaTalk has competitive monthly pricing, but if you pay for a year, your second year is free. This, in addition to all of its other features, makes ViaTalk one of the most cost-effective VoIP Services. Via Talk also offers wonderful customer support and provides nearly every basic VoIP feature you could ask for. Best for both residential and business users alike, VOIP.com is packed with features and offers a number of service plans to suit anyone’s needs. Their state-of-the-art service provides mobile apps, cloud-based PBX, call center features and more, making it suitable even for large-scale businesses. With excellent customer support, a wealth of online resources and a 30-day money back guarantee, VOIP.com is a worthy contender among the masses of VoIP services. While VoIP dot com offers affordable month-to-month service plans for Home and Small Business, your savings can really add up if you lock into one- or two-year contracts or their pre-pay plan. Each comes with a whopping 45+ standard features at no extra charge. VOIP.com also offers SIP Trunking for medium businesses to large enterprises. You should contact them for your business needs and pricing. Perhaps the most known of the reviewed VoIP companies, Vonage offers a wide range of calling plans that are priced competitively. They cater to everyone from residential users to large enterprises with an impressive number of features. Vonage’s mobile service is a huge plus, giving you the ability to take home or business calls on the go. Below you’ll find some common terms used in conjunction with the various types of VoIP technology and services offered. 911 service – And a final note about 911 service with VoIP. Given the nature of VoIP service, your 911 calls may not transmit the same way they do as with traditional phone lines, i.e. your location address may not be transmitted to the emergency call center. For your safety, you should review the FCC’s fact sheet about 911 service and VoIP, which gives you tips on making sure you’re covered in case of an emergency. Analog Telephone Adapter (ATA) – The most common way to utilize VoIP is through an analog telephone adapter, which allows you to hook up a standard phone to your computer or your internet connection. You simply connect your phone cord into the adapter instead of the wall, and the adapter converts your phone’s analog signal into a digital data signal. Some VoIP services, like Vonage, now include a free ATA bundled with their service. Cloud-based, or hosted, service – Some VoIP services offer businesses use of their cloud-based servers to host VoIP. The VoIP service provider takes care of managing and securing these servers, eliminating the need for any hardware in your office. 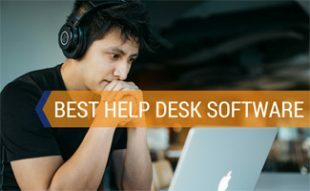 Computer to computer – The easiest and perhaps cheapest way to use VoIP is through free or low-cost software that a number of services offer. All you need is the software, quality internet access (high-speed is best), a sound card, microphone, and speakers. Other than the initial cost, if any, of the software and your internet fee, you can use VoIP for free, including long-distance calls! IP phone – IP phones resemble regular phones but have an Ethernet connector and connect directly to your router. Another option is a Wi-Fi phone that allows you to use VoIP from any Wi-Fi hot spot. These phones run anywhere from $30 to $175 or more. PBX phone system – A private branch exchange (PBX) system is a private telephone network used within a business. PBX phone system users share multiple lines to make external calls. SIP trunking – SIP is an industry standard communications protocol that enables VoIP in certain cases. SIP trunking delivers VoIP services and related communications to customers with SIP-enabled PBX systems. The PBX system provides features like voicemail, call management and auto attendants, and SIP trunks, hardware supported by your VoIP service company, provide the connection between the PBX and the public telephone network. This gives businesses the ability to use IP-PBX hardware and software without having to rely on traditional phone lines and carriers. In addition to switching to digital phone service via VoIP, did you know you can send faxes electronically without a clunky fax machine? Check out our review of the best online fax services. We also review the best online video conferencing services if you do a lot of video calls or want to up your conference calling game. Have you used a VoIP service? Do you prefer it over a traditional telephone landline? If so, who’s your favorite provider? I agree that, all these VoIP providers are in the market for a long time and have been providing some great services for businesses. However, there are some new entrants in the market who are offering best VoIP services at a very cost-effective price. XenVoice is one such company who deserves to be in the list of top 10 VoIP providers for business. From startups to large enterprises, their cloud phone solutions meet the needs of any type of business in any industry.And their plan starts as low as $4.99/Month which is unique in market. HI admin, Unovon has 24/7 customer service. Please correct it. I have been using this service for 2 years and never had any issues. Hello UNOVON, please provide mobile app for Windows phone. Unovon mobile app is available for Android and iPhone. We don’t see anywhere on Unovon’s website where it states they have 24/7 support. Can you provide a link stating the company offers this? We will then update our article. Thank you! Thank you so much for your prompt response to my suggestion . Appreciate all your support and help. Really this blog is helping others to find out best VoIP services. I want to know which one is the best according to service and price. Please reply. Nextiva for Business and Phone Power for Residential. Agreed on the list above. These are certainly very good voip services. I considered signing up with Vonage before cell phone service became so affordable. I knew others who used the service and really enjoyed the low cost. In all honestly though, I’m not the type that enjoys talking on the phone. Maybe it’s my generation, but I much prefer handling my communication needs through email and once cell phone service became so affordable, I didn’t see the need for an in-home phone. While VOIP service isn’t for me, I would highly recommend it to those that love to talk to relatives in another state or even another country. The savings is unbelievable. I also like the fact that you can get several features for one low price. Regular telephone companies charge an arm and leg for these features and it just doesn’t make sense. I also think that businesses can greatly value from a VOIP service. There are many companies that cater to businesses and offer amazing features that you won’t find with a landline company. Small businesses would be able to not only save money, but increase productivity with a VOIP company that covers many of their communication needs. Best of all though, many of these services are so easy that anyone can set them up. If I were the type to talk on the phone a lot, I would definitely use a VOIP service. I actually find it hard to believe that more people don’t use this type of service because it’s so affordable. With all the features of a landline service, but at a fraction of the cost, I’ve almost signed up just in case I do need to make a lot of calls at some point. However, since I don’t make a lot of calls, I’ll just stick with my smartphone. I have to admit that I was really, really surprised that Vonage wasn’t the top-rated company. I had no idea that they didn’t have as many features as other companies. Of course, I also wasn’t aware that there were so many other companies. I think a lot of people go with Vonage because, like me, they have heard the name and haven’t taken the time to research and see what other companies are out there. Personally, if I were going to use a VOIP provider, I would want one that offered the most amount of features. However, I wouldn’t want to pay for any features that I wouldn’t use, unless the package was decently priced to cover all the features. I would like to thank author for this useful post and sharing all this information. 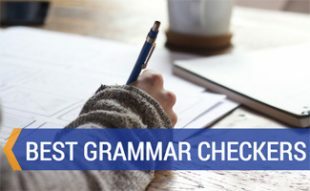 Really the best blog I’ve found on this topic. Thank you. I have been on the hunt for a good VOIP service for months now – we were going to go with evoice but then we got phones through CISCO who recommended we go with NexVortex. So far the signal has been rather bad but we are on wireless phones which might be the problem. Overall we love the features of VOIP systems that allow you to have multiple mailboxes and digital voicemails. This was definitely a good investment and good choice for us and I highly recommend it to anyone considering making the switch, especially small businesses. When I think of VoIP, I usually only think of Skype and Vonage, mostly because well Vonage is on TV all the time and Skype has just been around with a cheap and easy to use product for so long, I have never really thought to wander. I actually did the free trial for eVoice and found it to be an okay product. I think if I had a business and needed an 800 number, I would have to snag a product like that, but as a regular person, I just didn’t need any of the features. I mean I do have a small business going, but, I don’t really have a need for an 800 number as of yet. Maybe I’m thinking small though, now that I see the companies you list, it’s kind of shocking to me that I’ve never heard of most of them. Well, I have heard of RingCentral several years back when I thought about an 800 number. I didn’t realize also until I read your blog that RingCentral offers faxing as well. This article is interesting to me. Getting VoIP from one of these companies might make things easier for me. VoIP has been a good and less expensive alternative to traditional long distance for quite some time now. I am glad to see that a little competition has made companies step up with their quality of service and with their pricing plans as well. It looks like at least a few VoIP companies are offering more features that we use at my business anyway, and these come standard as part of the package rather than costing extra for us. The best part is the ability to make international calls without any cost concerns. I think this will help us get the extra mileage out of talks with our business partners, with whom we mostly have contact at this point through scheduled video chats. This can be quite inconvenient for asking clarifying questions during other times, since it is not as inexpensive or easy to use as our regular telephone service to just call up our supplier the way we could if they were US-based. After looking at this article, I am for the first time considering switching my business service plan to VoIP, because it looks like it will do a lot to help my business.